Freshen up your appearance during May with your favorite filler and receive $25.00 off your treatment. Restylane, Radiesse and Juvederm will all receive the discount. Just call 913-451-3722 and schedule your appointment in May. 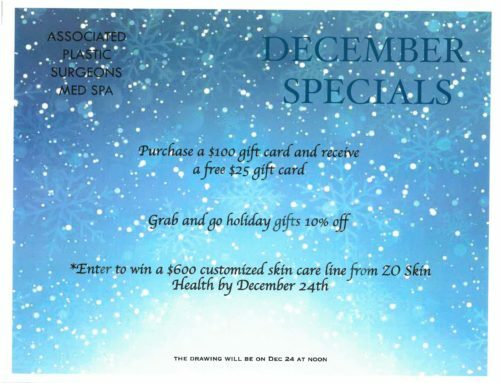 While in our office text healthyskin to 90210 and you will receive a text back with the coupon! This spring Jane Iredale has assembled a collection of mutipurpose products in fresh, beautiful shades that are perfect just for you! We’ve all been there. No matter how organized you think you are, you always forget something. It’s really serious when it’s your bronzer or lip gloss. What’s a girl to do? Enter, My Steppes. This all-in-one compact contains two lip glosses, a blush, a bronzer and a mirror for effortless touchups on the go. What make this all about you? My Steppes have been designed around color selections that are just perfect for your skins undertone/ Available in two color palettes: Warm and Cool. The dual-ended powder eyeliner and highlighter from Jane Iredale that brought you smoky eyes in seconds is back in two enticing new shades for spring. Citrine, a shimmering combination of ochre and metallic bronze with a gold highlighter and Aquamarine, a cool swim through tropical blue waters with a rose highlighter. Smudge-proof, crease-proof, and highly water resistant. Mystikols give the mystery and allure of the original kohl with a formulas thats hypoallergenic and as clean as can be. Finally, that perfect shade of vibrant pink created just for you is here! Forever Pink Just Kissed lip and Cheek stain from Jane Iredale is a multipurpose stain that uses all natural ingredients to enhance your natural coloring. The color development of your lips and cheeks is unique to our skin’s acid level, which can vary depending on your mood or the temperature, creating your perfect color! 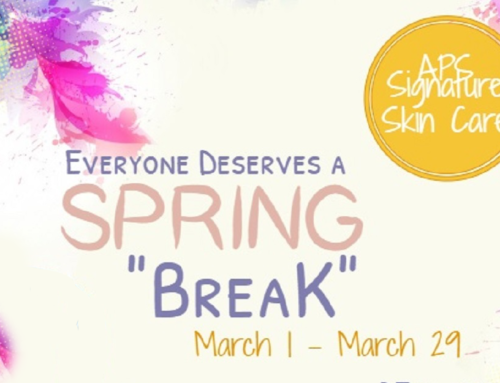 Inquire about the new spring collection from Jane Iredale, available now. Just for Me – Beautiful makeup, beautiful you.